Get your Milwaukee Admirals tickets for this Saturday's game for a chance to see Huey Lewis and The News. 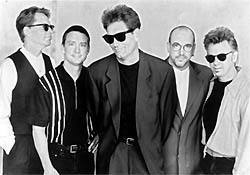 Huey Lewis and The News will perform after this Saturday's Milwaukee Admirals vs. Lake Erie Monsters game at the Bradley Center. Huey Lewis and The News had their glory days in the 1980s and early 1990s. You might remember Huey Lewis and The News' rocking hit, "The Power of Love" from the movie Back to the Future. Milwaukee Admirals games are always a fun time and this Saturday, the Huey Lewis and The News concert is an added bonus.